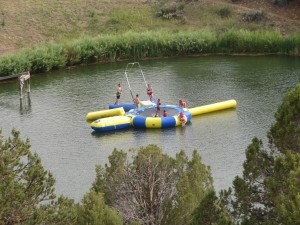 What kid doesn’t want a water trampoline? Actually, these are just a few of our favorite experiences of camp at Cross Bar X Youth Ranch. Cross Bar X Youth Ranch is a camp for at risk kids. Many of these kids come from urban areas and often from broken, impoverished, and troubled backgrounds. 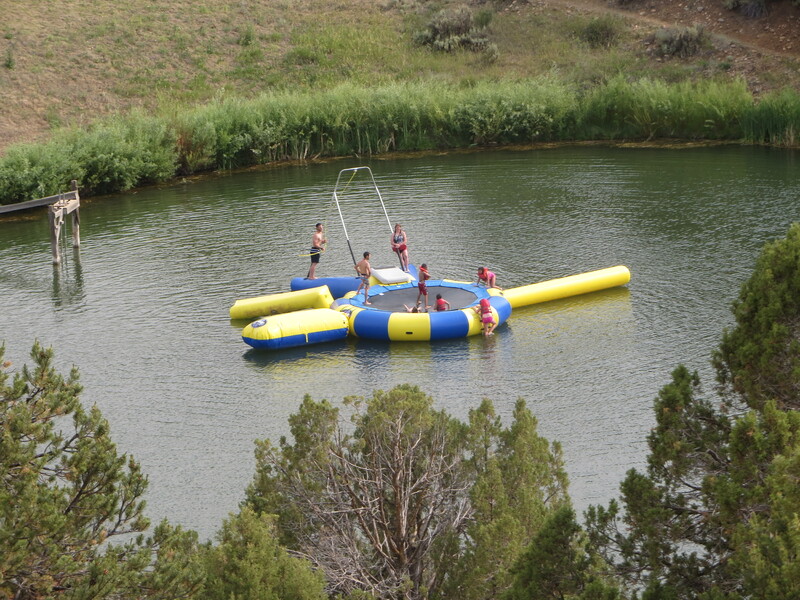 With water trampolines, horses, giant swings and 150 acres of land, these kids are treated to a one of a kind camp. With all that said the staff there is committed to so much more than fun. Their true heart lies in what they do for the kids. They present the gospel to every camper. None fall through the cracks because every counselor only gets the maximum of five campers. Even when camp is over, the relationships do not end. The Cross Bar X staff dedicate time to continuing discipleship and mentorships of the kids through retreats and involving them in a local church. Playing a small part in their ministry honored us even if it was only for three weeks. The Black Forest fire devastated many homes and affected so many people. Even in Durango we felt the effects. Cross Bar X’s cooks the first week left suddenly to evacuate their belongings from their home. Just as quickly we filled in for the cooks. 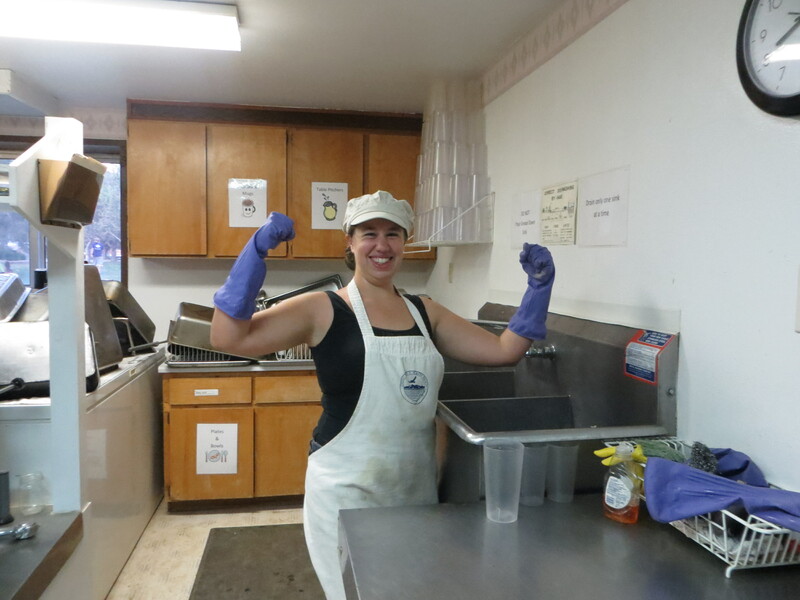 After that trial period, our kitchen supervisor Jenny, liked us so much, she kept us there the rest of the three weeks. We had many great conversations in the kitchen. One in particular encouraged Ryan while talking with our head guy counselor named Keith. At this time, Ryan was discouraged about our progress in support raising. After Ryan explained TWR’s ministry, Keith said, “Wow that is the coolest thing I have heard today!” It was encouraging to remember what a privilege it is to be a part of TWR. For me, the greatest joy I had at camp was to train and encourage Allison (a young student nurse) further in her nursing. It was wonderful watching her grow in her skills, her confidence, and her compassion for kids. It was equally satisfying to see her overcome difficult situations and excel with trying patients. I worked beside her helping her gain experience so she could grow into her job. As a team, Allison and I dealt with homesickness, dehydration, cuts and bruises, a nasty allergic reaction to a bee sting, and a hospital visit for an asthma exacerbation. One exciting thing we were able to do was to pray with many of the kids who were sick and in pain. 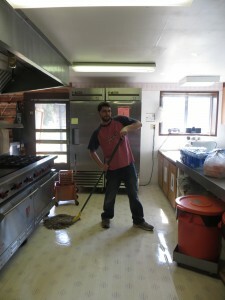 We were in Durango to help with this camp but also to fundraise. We were able to speak at two churches there. We’ll tell you more about that, but you’ll have to read about it in our prayer letter. OH! That is what you call a teaser!